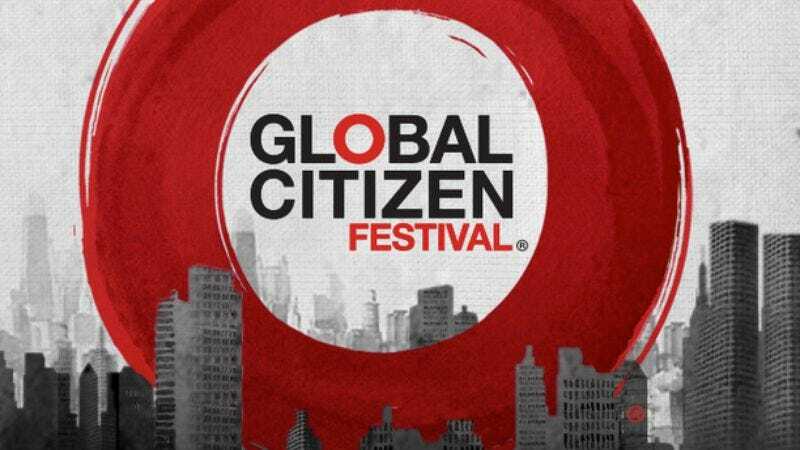 This year’s Global Citizen Festival—which takes place this Saturday, September 27 in New York’s Central Park—boasts a lineup featuring Jay Z, No Doubt, Carrie Underwood, Fun, The Roots, and Tiësto, all of which are appearing in support of Global Citizen’s campaign to end poverty by 2030. General admission for the festival is already sold out, but now everyone will get a chance to see it as NBC and MSNBC will be the first networks to broadcast live coverage. On Saturday, NBC will air a one-hour, primetime special starting at 9 p.m. ET that offers highlights from the day, while MSNBC will launch its comprehensive coverage at 3 p.m. and offer a streaming option through its website. Proceeds from the festival benefit Global Citizen, while a free stream of a Jay Z concert benefits everyone lacking the several thousand dollars it takes to purchase some of the fest’s remaining tickets.